Why quietude? What characterises quietude as different from silence? 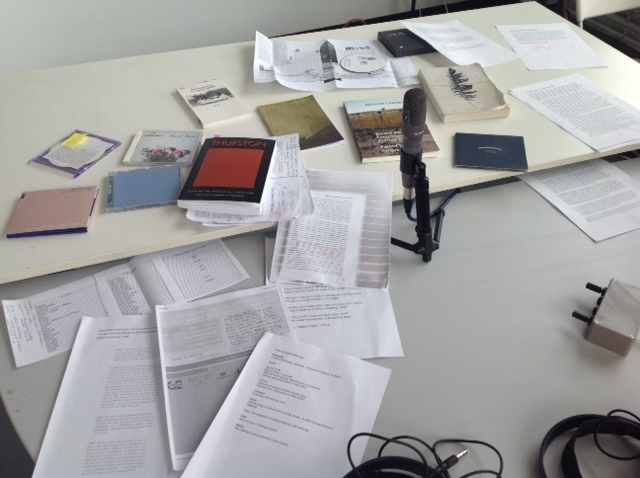 In the 8th, and so far noisiest, episode of Ora, Daniela Cascella and Salomé Voegelin produce a quiet space for reflection: reading poems and listening to steps and voices, looking at erased pages and considering urban spaces, from names to translations, from echo chambers to sirens. 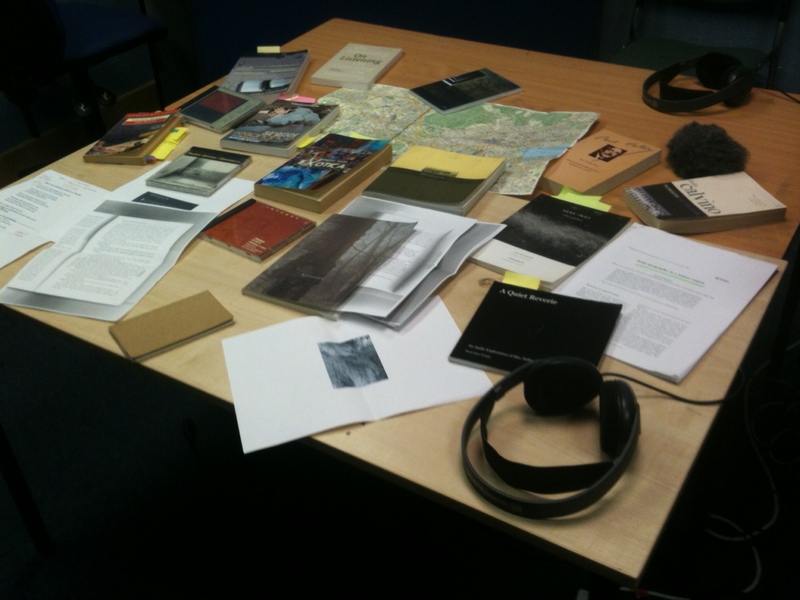 How are our perceptions, constructions and recollections of a place reflected in listening? 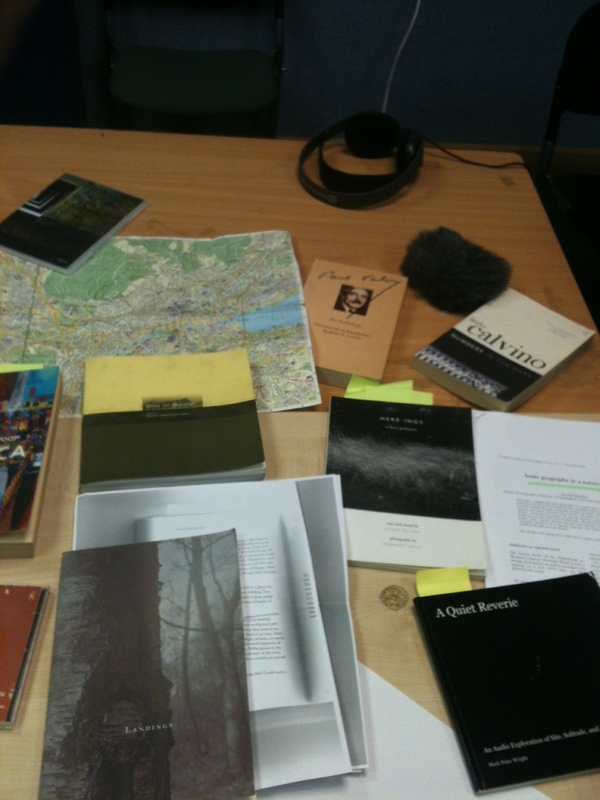 How do artists and writers embody and recount their experiences of place through sound? 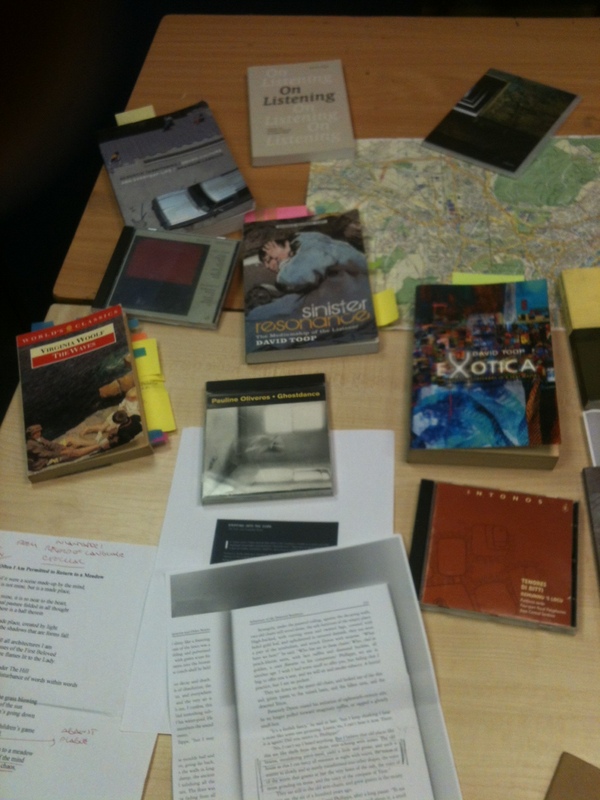 These are some of the questions that prompt the discussion in ora 5, in and around places, with and without maps, probing sonic sensibilities in their connection with poetry, art, geography and everyday listening.